Hobbs & Porter produce bespoke recessed shelving for delivery and installation throughout the UK. 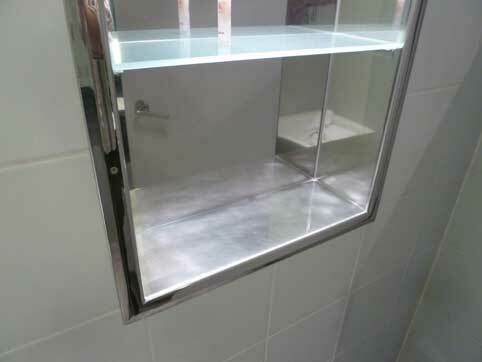 Stainless steel bespoke recessed shelving for bathrooms, hotels etc. Recessed shelving unit with glass adjustable shelf fitted throughout bathrooms in a hotel chain.